Bored of the plain and simple data? 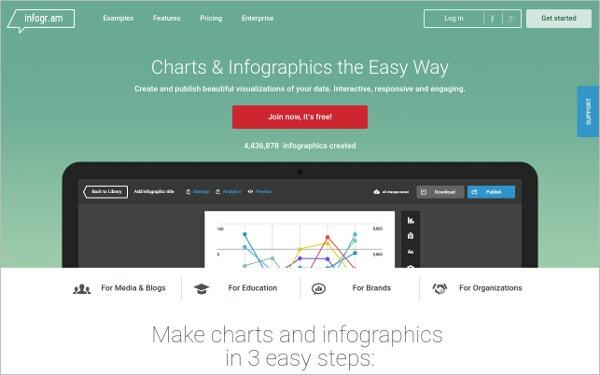 If you are, we are here to tell you the Top 7 free infographics tools and resources which you can’t miss in 2016. These websites are the solution to your lifeless and boring data. 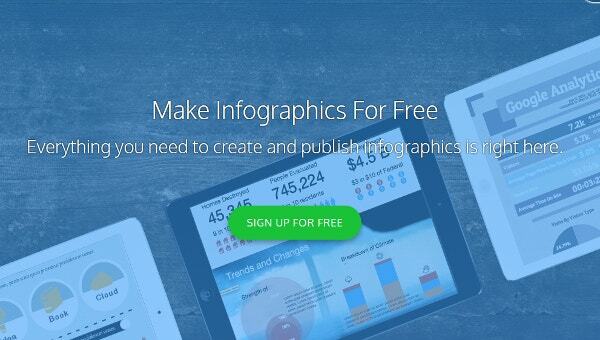 You can create awesome infographics using this website absolutely for free. They have got innovative tools which will turn data into a visual appeal and interesting story. Don’t believe? Have a look at these multipurpose websites which is a solution for your dire needs. See this PSD Infographic Element. 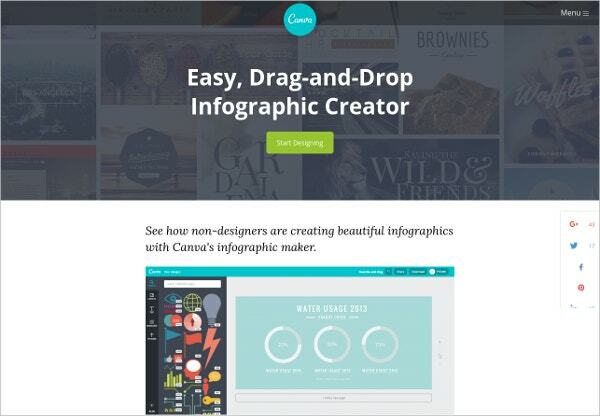 Are you looking for super easy tools to create infographics? Even if you are not from the designing field this easy tool has got easy steps which can do your work in the matter of a few minutes. You can change the images, change the fonts, change the background and change the colors. These four easy steps will do all your work. This is an easy website which lets you make awesome infographics. All you need to do is choose a template, add charts and visuals and customize your design. It takes only three steps you will get the infographic you are looking for. This website has got creative templates, posters, reports, social media related post and designs to choose from. You also can analyse your data, visuals, maps etc. Sign up for this amazing website to make your work go easier. Piktochart aims to take the communication in next level. You can do all you want even without hiring a designer. You can create all sorts of infographics long and short form. Create the dull information goes live with these infographics and make it count. You can change colors, edit, add icons, photos and videos. This has got covered everything you need, so relax while designer takes care of your work. It is a website which gives you responsive and interactive infographics. 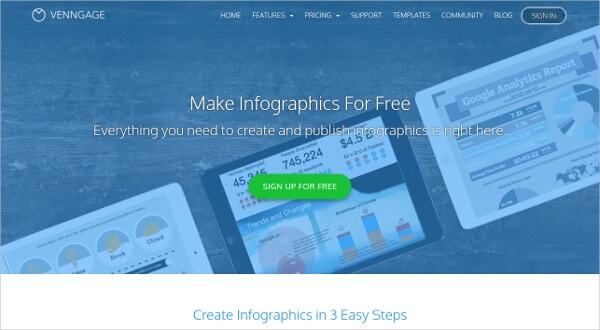 It is a free website which takes 3 easy steps to create your infographics. It consists of the collection of templates, chooses the best one for you, adds the map, images, data and you can share the post on your website with a single click. 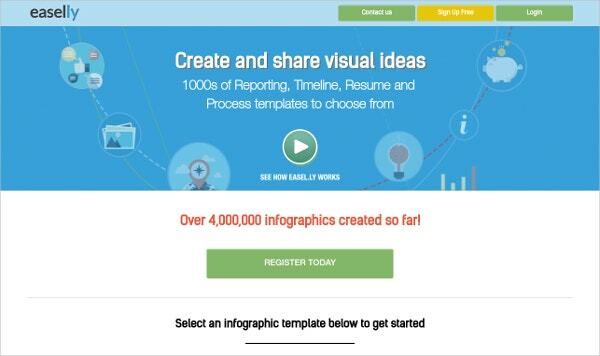 Infogram is making your data real time engaging, informative, responsive and interactive. You can’t miss this one. Easelly has a collection of the timeline, resume and templates which will help you to make the informative website. The templates displayed on the website are worth an attention and it leads you to an editing section where you can make changes and customise it accordingly. 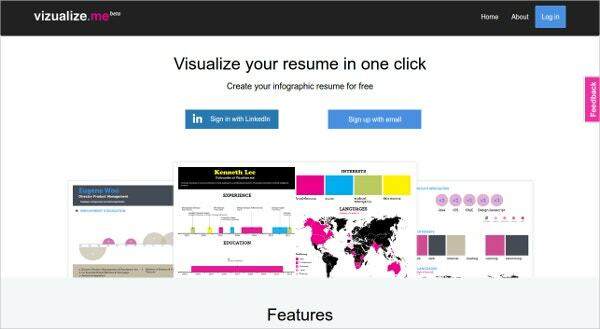 Visulize.me is an innovative website which changes your resume into the attractive resume. This gives a new meaning to the resume. No more boring resume you have to deal with, you can use this website for a creative visually appealing resume. Sign up and get the resume of your choice. 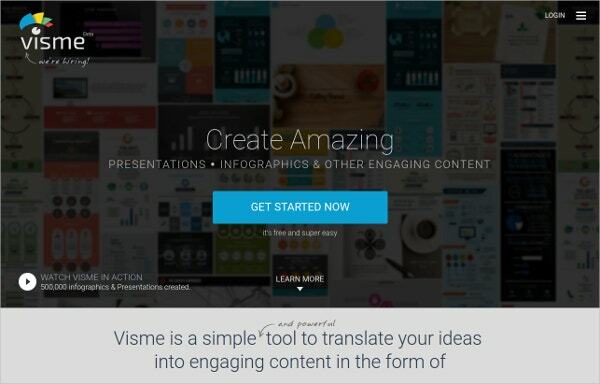 Visme is an amzing tool which can make effective infographics. It has got simple methods through which you can tell the stories in a beautiful way. It is a popular website having used by 400,000 top notch marketers. Clink on the link below to reach the website. Made your life easy? 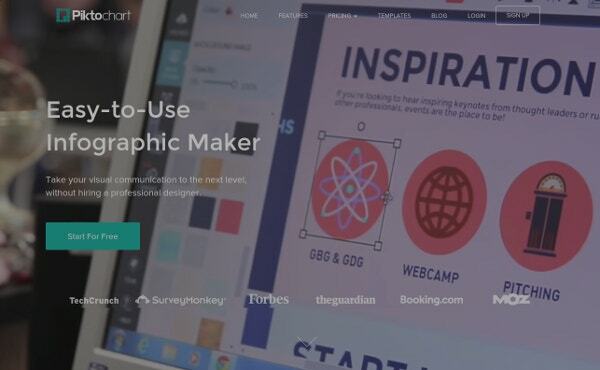 These were the Top 7 free infographics tools and resources which you can’t miss in 2016. You can create stories, make an interesting visual resume, maps, charts and everything else you need to present in a beautiful way. See this Parallax Scrolling Website.